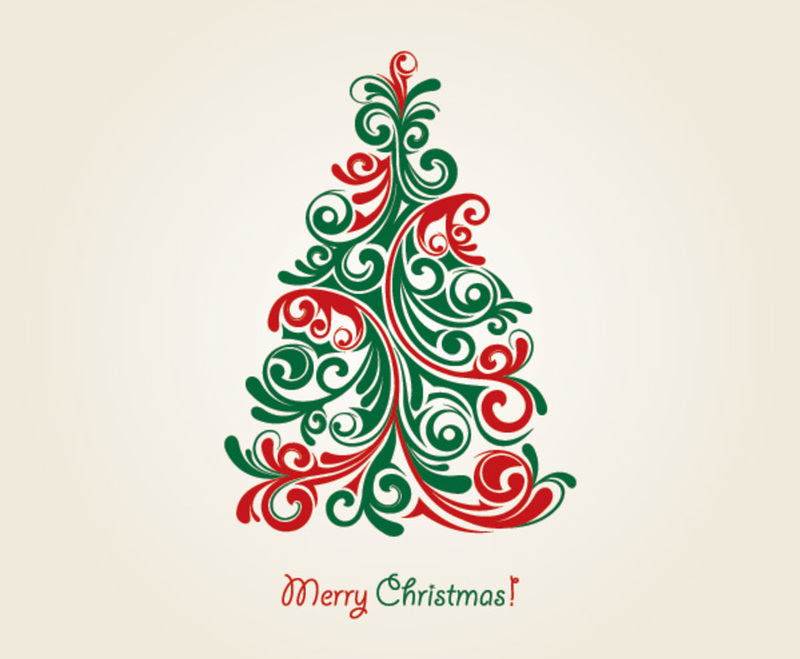 Here's an elegant Christmas image that's equally well-suited for professional or personal use. Intricate red-and-green swirls come together to form the shape of a highly stylized Christmas tree, set against the warm parchment of the background. The tree stands out with the controlled curvature of its lines and a satisfying, symmetrical placement. The base of the imaged displays a holiday greeting in a curved font. This is a versatile graphic with plenty of blank space for your own additions. It's an excellent choice for a holiday greeting card, web page, or document background.